Our network connects yoga students and teachers, throughout Europe, providing information, retreats, workshops, classes, satsangs and support. 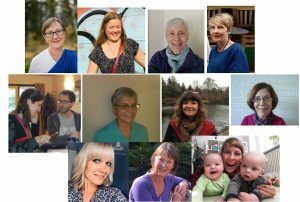 All our yoga teachers are trained at Yasodhara Ashram in Canada. Our classes and workshops are open to people of all yogic traditions and religions. We emphasize relaxation and self-inquiry, through the in-depth, integrated approach developed by Swami Sivananda of Rishikesh and brought to the west by Swami Radha. We promote values of clarity, compassion, service and devotion. We have teachers across England (in London, Kent, Norfolk, Hampshire and Yorkshire), in the Netherlands, Eire and Portugal. Enjoy a retreat on the East Coast of England or in rural North Norfolk. We also offer special events and workshops at various locations including Hungary and Germany. 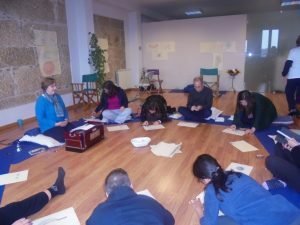 To connect with students and teachers in all European countries, we offer online classes and satsangs. Visit our Online Classes page to find out what we is available for you now. Yasodhara Ashram offers an Outreach Programme to bring teachers from the Ashram to your local community. Swami Sukhananda, a senior teacher and resident at the Ashram with a wealth of experience from running local centres and outreach tours, visits Europe annually to offer workshops, retreats and classes. See her web page for details of her most recent plans. We run entirely through the energy and dedication of our volunteer teachers and other Karma Yogis. If you would like to offer Karma Yoga please just get in touch with any one of our teachers! 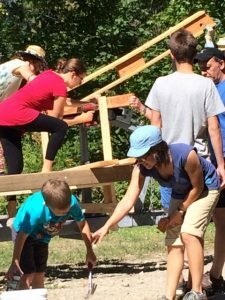 We will be very happy to give you opportunities to experience the many joys, learnings and satisfactions of ‘giving back’ in your own time – whether locally or by joining one of Yasodhara Ashram’s many Karma Yoga programmes. We are also the base for the Radha House Association, a charity that supports Yasodhara Yoga Europe-wide bringing to Europe our teaching materials, granting bursaries and facilitating teacher tours. 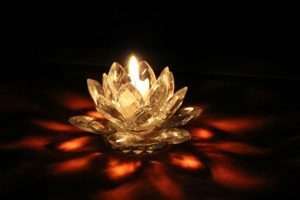 Our prayer list is updated frequently and is used in satsangs and personal mantra practices to offer support to those who have requested it for themselves, or for others. If you would like names to be added to our prayer list, or if you would like to receive the list to chant for others, please click here to contact Carol.